Hamlin is named for Hannibal Hamlin, Abraham Lincoln's first Vice President. 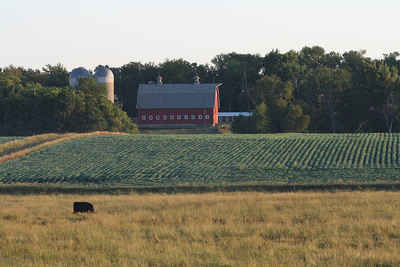 Hamlin County was created in 1872 and organized in 1878. It was named for Hannibel Hamlin, Vice-President under Abraham Lincoln. 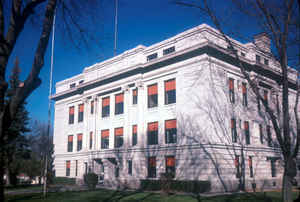 The county seat was located at the Spalding ranch. Following an election in November of 1878 the county seat was located at Spalding. There were four contests for county seat honors, the first occurring in 1884 when the seat was moved from Estelline to Castlewood; the second in 1890 when Bryant made an attempt; the third in 1910, when Hayti made its first bid. Although Hayti was victorious, the contest was taken to court and Castlewood was declared the winner. Four years later Hayti tried again and was successful. As reported by the Census Bureau, the county has a total area of 538 square miles (1,393 km2), of which, 507 square miles (1,313 km2) of it is land and 31 square miles (81 km2) of it (5.78%) is water.